Canine and wildlife lovers alike will be thrilled to attend a workshop next week in Tofino. Wolf educator Gary Allan and his pet wolf, Tundra, will be presenting an evening event designed to educate and intrigue. Gary and Tundra will be appearing at Tofino’s Botanical Gardens on Tuesday, March 27th at 7:00 p.m. for a 90-minute interactive workshop. Participants will be captivated by Gary’s presentation on wolf dynamics, conservation issues in British Columbia along with both cultural and mystical perceptions of wolves. All participants will have the opportunity to ask Gary any questions they have, as well as meet with Tundra. Participation is by donation. For more information, please visit the Raincoast Education Society online. Let’s not get started with the Timber Wolves that GrouseMtn has though.. I would love to see wolves in the wild though! They are on the bucket list! @Tyler – Yes, that guy is one and the same. He’s passionate about awareness, conservation and education. It should be noted, also, that Tundra isn’t full wolf… he’s a dog/wolf hybrid. 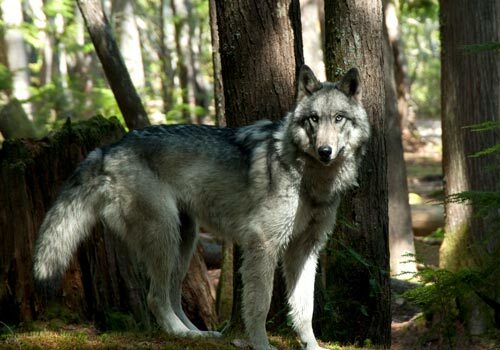 As for the wolves at Grouse Mountain… don’t even get me started on that sad story.